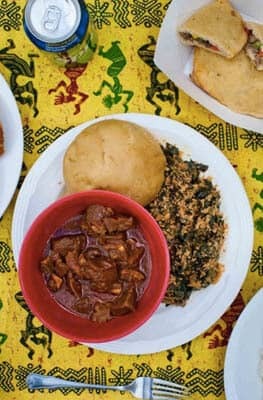 An exotic soup indigenous to Nigeria, but with various in West African Countries. 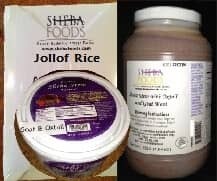 Made with Goat Meat which according to the USDA is the healthiest meat to consume. Also contains Tripe and Gizzard. Spices include Ginger, Garlic and Cloves. This soup is highly recommended during the cold weather or anytime a spicy soup is desired. Try it!